The least every Nigerian should do is to know their blood pressure in order to manage and prevent hypertension. Warnings about hypertension must not drop yet because it continues to claim many lives despite the awareness about it. This is a source of worry for Dr Ogugua Osi-Ogbu, Consultant Physician Geriatrician at the National Hospital Abuja. According to her, hypertension, which is also called high blood pressure, is simply the sustained or persistent elevation of the blood pressure above the normal range of 120/80 to 140/90mHg. “The condition occurs when the force of blood on the walls of the arteries is too high hence the need to always be aware of the numbers, ’’she said. Osi-Ogbu explained that arteries are blood vessels that carry blood away from the heart to supply the tissues with oxygen and nutrients. “Every adult needs to know the numbers that change the pressure and reduce risk factors of heart attack, stroke and cardiovascular diseases. 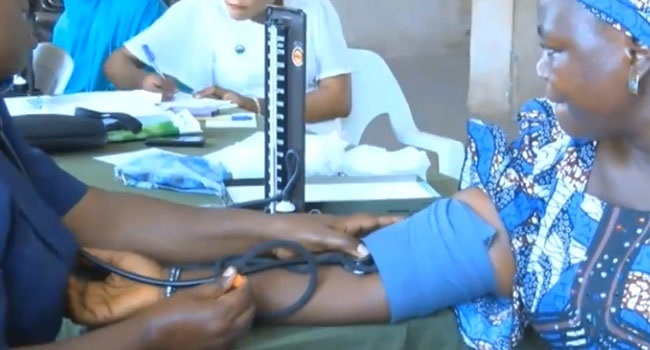 “Hypertension is a common health problem; someone could have it and may not be aware because the symptoms are not so obvious but referred to as the silent killer,’’ she said.